Managing Warehouse is an ongoing process and requires complete attention to detail. The scale of warehouse can really intimidate anyone, but with the correct use of Warehouse Management system, things become much simpler and manageable. Stocking and restocking of items requires a complicated approach with every single bit of information on the desk. 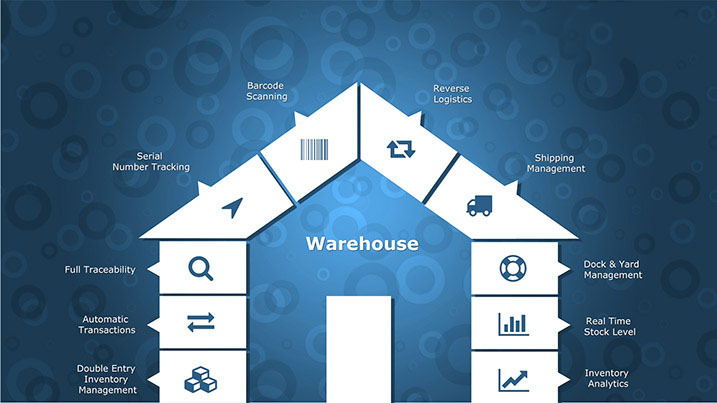 With Odoo Warehouse Management System, businesses can easily manage warehouse. The Odoo Warehouse Management System offers tons of features including the revolutionary Double Entry Inventory Management, traceability, barcode scanning, shipping, real-time stock level and more. Inventory Management is a tricky proposition — stocks can get lost with no traceability. But with Double Entry Inventory Management, the stocks are not lost and is only moved from one place to the another, keeping transactions on track. With double entry inventory management, teams can have better traceability, reporting and more. Tracking become much faster and convenient when done through barcode. Odoo Warehouse solution supports barcode scanning, improving warehouse functionality and traceability. Stock are the core of warehouse. Odoo Warehouse has enough amenities for real time stock monitoring. This enables warehouse to keep stock updates before they run out. Real Time monitoring also provides valuable insight on how the Warehouse can work more efficiently. With each item that is plugged in or out, transactions take place. With Odoo, all the transactions including picking, packing, receptions or any other internal movements are automatically managed. The transactions are further automated by defining push and pull rules. To make effective warehouse much more effective, tracking is enabled in Odoo Warehouse Management software. This enables stock tracking at each stage with high emphasis on tracking at each stage of delivery and reception. Item packages such as batches or logistic lots are also supported by serial number tracking. Warehouse Odoo also supports Reverse Logistics, a way to achieve remanufacturing and refurbishing of old products and make them useable. With resuability, business can harness more profit. Inventory is complex and to understand each stock level and its movement, Odoo Warehouse enables managers to do Inventory Analysis. With Inventory Analytics, mangers can take both short-term or long-term decisions that can improve Warehouse workings. The Sales department is also responsible for creating new potential connections, increasing the scope of profit and credibility. 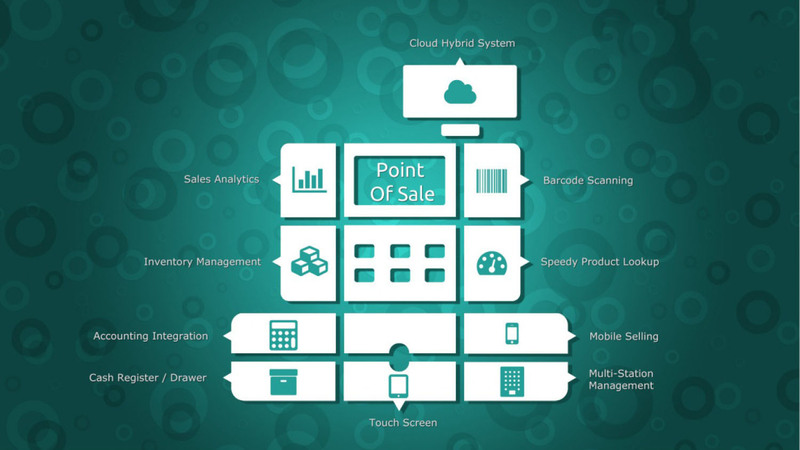 The Odoo ERP solution comes with Sales solution. An Organization can easily integrate sales solution into their existing process. The sales module has tons of features. Some of the notable features are sending the quotation online, creating an electronic signature for sales, activity tracking and much more. 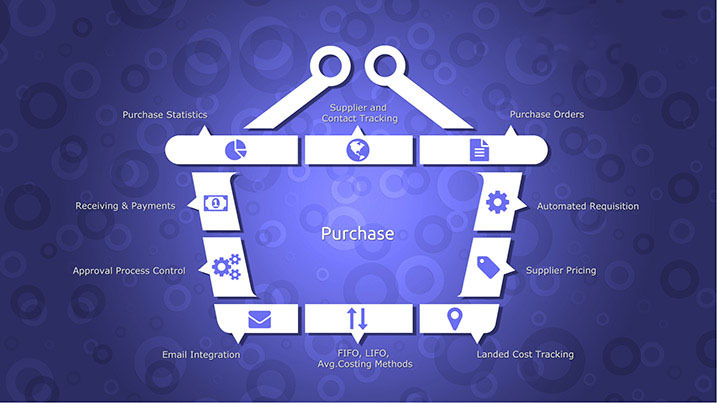 With Odoo Sale module, almost every single process related to sales is controlled using and streamlined. Be it quotes or invoices, everything is under the control of the sales team and day-to-day activities becomes fluid and intuitive. Teams can work collaboratively and bring more productivity on the desk. Working with diverse clients requires support for multi-currency. Odoo Sales modules have enough amenities to support multi-currency so that the whole ecosystem works flawlessly. With the correct currency conversion, each transaction is done smoothly without losing any precious conversion amount. With a complete built-in customer relationship management, the Odoo sales module is purely customer-driven and has all the functionalities that make the customer experience a good one. Other features also contribute to customer unique experience. The customer driven approach of the sales module brings more growth to the organization and creates a long-term return involvement. Customer communication can be done easily with feedback open all the time. With Odoo Sales module, the sales team can easily send quotes online to the potential customers with the intent to get the project or the order. The quote generation tool automates the process and keeps track of any advancement in the project. The quotes generated using the tool are professional and can be saved in PDF format for portability. 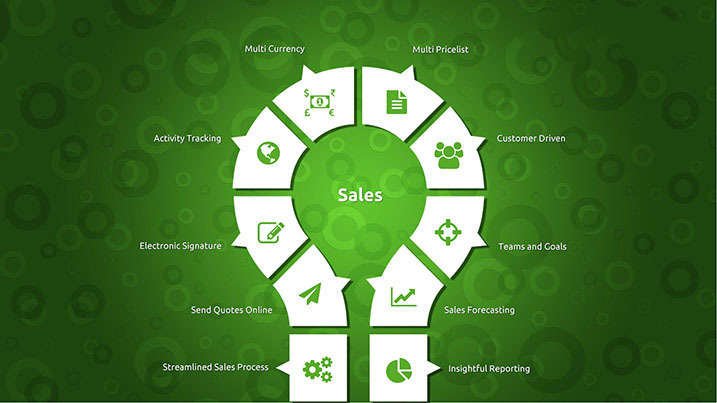 sales Odoo module completely supports the multitasking and improve productivity and synergy. The whole Sales Odoo module is built keeping the team and their goals in mind. The interface is highly intuitive and with proper positioning of the most used functions, anyone can learn the sales module in no time. Team Collaboration is a major part of the module and with high-quality report generation, everything is kept transparent and happy. Business is not only about selling items or services to different clients. It also includes purchasing goods, services and other forms of items. Purchasing when done on a large scale requires a collaborative approach and complex in no time. 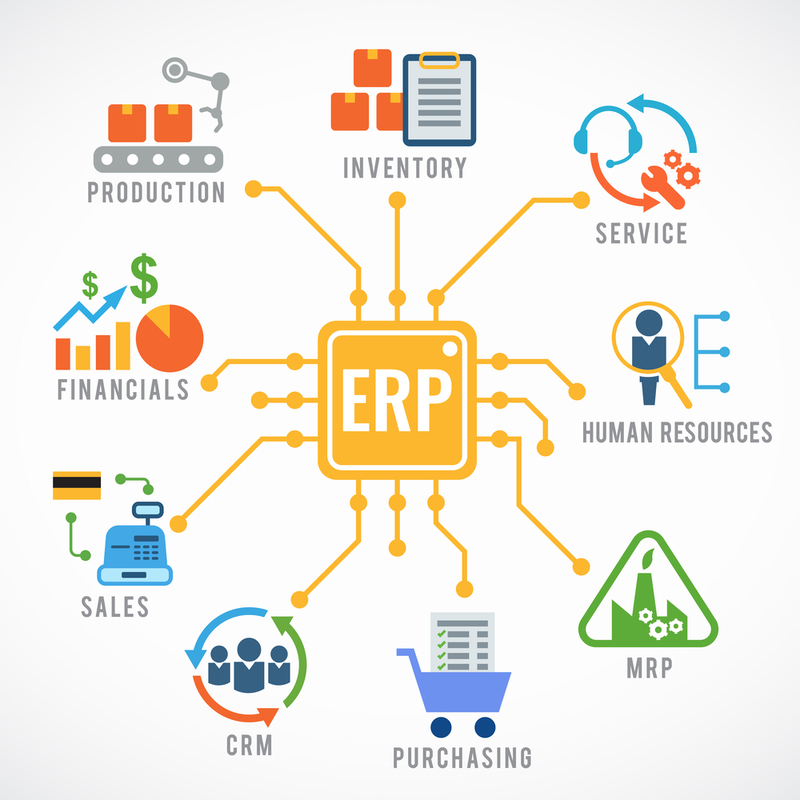 For the sole reason, ERP solution such as Odoo offers Purchase solutions for the business out there. With the Purchase solution, the business can easily track their purchases, clients, goods and other important information without losing sight of the purchase. With the help of the Purchase Odoo solution, businesses can easily track client’s performance on delivery of the items and also create a useful Request for Quotations (RfQs) to multiple clients and enhance the overall purchase process of the business. The primary question for the most of the small scale business is whether they require purchase management or not. The answer is obviously Yes. According to the experts, purchase management is one of the important processes of the company and requires attention from the managers. Without proper care, the whole process can go haywire and can easily affect other processes like manufacturing or sales. With Odoo Purchase Management, organizations can take their purchasing department to the next level, bringing more productivity and revenue in exchange. With Odoo Purchase Management, tracking the suppliers was never been so easy. The system keeps up-to-date information about the suppliers and other contacts. This enables the organization not to waste crucial time in capturing the most basic information about them. The tracker also keeps other information, for example, goods purchased, due-dates and other vital information. Email’s are the most important part of any organization. The purchase management tool support email integration. This enables the organization to take full control of supplier belt and retrace any information when needed. E-mail contain all the important information about each transactions, including RfQs and is the oldest form of communication that organizations benefit from. The Odoo purchase management ensures that each transaction is received and payments are made to the respective clients within the time frame. This ensures happy clients and creates a long-term relationship with them. Odoo POS is one of the best POS software solutions for the business. It offers tons of features and completely redefines the Point of sale approach for businesses around the world. Odoo POS is completely cloud based, which makes the system completely portable. It also comes with all the add-ons that make it a great POS platform. It offers Barcode Scanning, Cash Register, Touch Screen, weight calculator and more. It also supports multi-station management, enabling multiple transactions possible. Odoo’s Point of Sale app has an excellent user-interface with clear buttons and layout. This enables the user to lookup for any product. The process is either by entering the product ID or name. With a clear process, both the buyer and the operator are benefitted in terms of speed and clarity. The POS software can be used to manage Multiple stations at the same time. This reduces labor and improves the time required to clear the buyer’s list. The multi-station management is unique and helps in blazing POS service. The Odoo POS solution has a complete inventory management. This enables the operator to check for items that are needed to be restocked. The inventory management also provides all the information to the operator at a glance, creating the right environment for productivity and profitability. Barcode Scanning is the essential part of any POS and Odoo POS is no different. It has a fully functional Barcode scanner for complete tracking of items and also helps the POS user to add items faster to the cart. The POS solution from Odoo supports Touch Screen. With the help of the Touchscreen, the operator can easily manipulate between different windows, add multiple buyers on the same station and can easily go through product search. Touch Screen increases productivity and uses advanced haptics to enable faster execution of touch commands. The POS solution from Odoo is connected with the Odoo Accounting solution. This means that all the transactions are tracked and stored within the Accounting Odoo solution. The solution helps an organization to track everything, including customer feedback, sales growth and more. Sales drives profit and with Sales Analytics imbued into the POS Odoo, teams can understand their business way better. Sales also help to deliver customer service. With functionalities like customer refunds, warranty tracking, planning deliveries — the system can maximize great experience for the customers. Customer Relationship Management using Odoo is one of the best solutions for businesses to automate customer handling in a well structured way, creating a solution specific to the organizational needs. The Odoo CRM consists of many features that help the organization to capture the market and keeps customers happy. Customer maintenance is important as they yield more profit by referring the services to other interested customers. With Odoo CRM, the organization can easily track leads, generate accurate forecasts and close opportunities. Sales features are above average and grants you enough power to drive sales from nowhere. With Lead Automation, the business can start from a blank slate and end up with closed deals. can easily add new data into existing customers or create data for the future customers. With Email and Odoo CRM working together, work was never been so easy. The integration is automatic and the team can get started with the work without any delays. 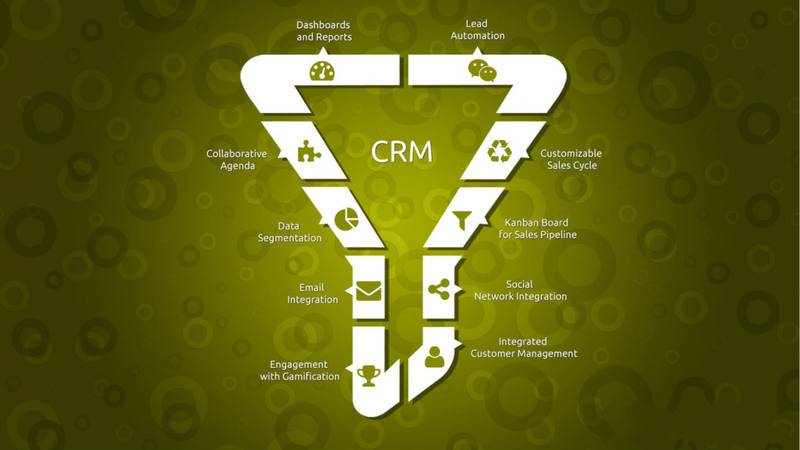 The CRM also supports third party integration tools with maximum customizability. Organizations can easily customize their sales cycle for maximum profit and returns. The sales approach depends on a lot of factors and business needs to continuously evolve their approach. With Customizable Sales Cycle, the organization can easily improve the performance, and forecast the outcome — improving customer relationship at every single step. Employee engagement is necessary for business success and with gamification, the Odoo CRM just becomes way cool. Users are motivated to engage in activities and are rewarded with badges, level ups and more. This brings competition among members and creates an environment where everyone is benefitted. Data is information, only if segmented properly. With Odoo CRM, users can easily segment data into proper groups such that it becomes useful and informative for the business and the team working on it. Data without meaning is useless and Odoo CRM makes sure data is utilized correctly. Looking for a smart solution for making fast decisions? Then, Odoo CRM offers visually appealing dashboard and unique reporting for the business managers. With the dashboard, managers can easily get insights and make better decisions for the organization. The Dashboard also offers real-time reports — offering enough information to make quick insightful decisions. Furthermore, employee can easily create and share reports on the dashboard for other to read and share feedback. General Ledger contains all the information about all transactions that take place within the organization. With General Ledger Management, business can easily work on other facets of accounting. All the information can be inputted and formatted according to the company’s policy. With tons of information at the disposal, accountants can easily forecast the financial growth or investment in the business. Odoo Accounting Solution provides the necessary tools and information for financial forecasting. With forecast, business can take the right course of action, increasing its odds of success. Right use of resources is also an important factor in Financial Forecasting. Business are going international and there are very few business that do not work with international clients. With Multi-Currency Accounting, a business can easily work with different clients who work with different currency altogether. 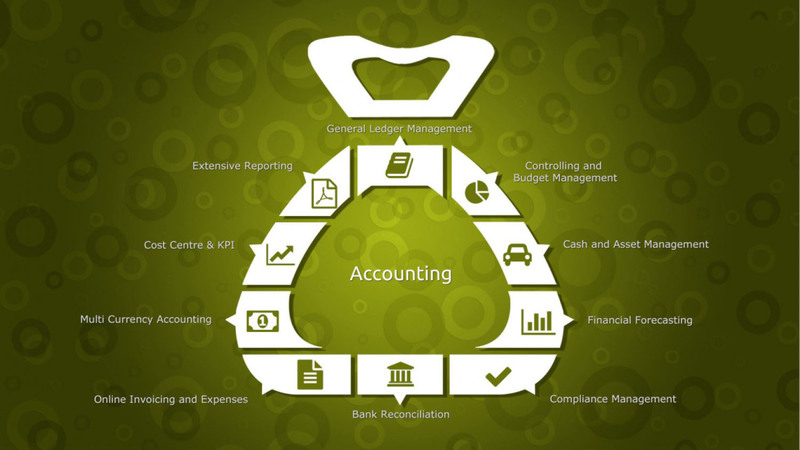 The accounting solution makes enough changes to the accounting process that no transactions are lost or miss-calculated. The notion of using Odoo as an MRP is an interesting prospect for the businesses. It enables businesses to completely monitor the manufacturing process using the Open Source Manufacturing using Odoo solution. Manufacturing Planning is a vital part of any organization. With the planning, all resources are utilized to the maximum benefit. The platform can easily be used for billing purposes, Quality Control, Minimum Stock rules changing and much more. Organization can be in more control of all their processes with the manufacturing planning. The Odoo platform supports Kanban views so that managers can understand what’s going within the manufacturing process. It also supports Gantt views for maximum productivity. Each process can further be planned using the MRP Odoo. With routing enabled, the resources can be configured to reach any part of the manufacturing process. The routing planning is essential for two reasons. The first reason is to decrease the time for resources to reach their station and the other is to have full control of each resource. In the manufacturing process, each minute wasted results in the loss of a huge amount of end products and overall decreasing the productivity and profit of the manufacturing firm. 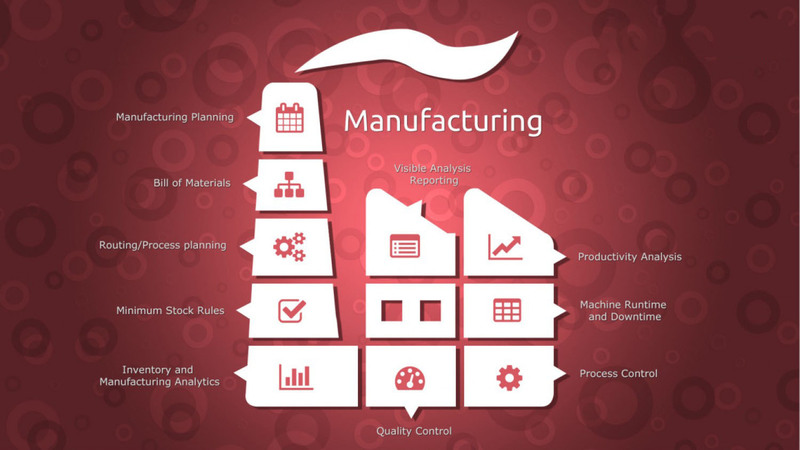 To overcome, the Odoo MRP offers productivity analysis for better results in manufacturing and operations. With Reporting, different levels of managers and decision makers can bring necessary changes to the system. The Odoo MRP uses Kanban view and eventually helps its operators make reports and decision without much problem. Taking an ERP system into effect has never been an easy implementation. However, with our experiences and knowledge about ERP, your business will be under your control in the most efficient way ever.